A North Queensland spearo got into an altercation between his speargun and boat propeller. This was the result. Before exiting the water to get onto his boat he clipped his speargun to the ladder (makings it easier to take off his fins etc before climbing in the boat). Many spearo’s would pass their gun up to the boatie (hopefully handle first and unloaded) or slip their gun over the side or back of the boat before attempting to clamber over however clipping your gun off to the ladder is not uncommon. After he clipped the speargun to the ladder, removed his gear and climbed aboard, he started chatting to his dive buddies and began eating some food. Distracted they started the boat and began to move off before quickly realizing the gun was stuck in the prop! After shutting the motor down, he went to free the speargun from the prop. Then as he has pulled the rubbers free, the tension in the rubbers has spun the prop and caused it to strike his knuckle which did the damage that you can see to his hand (photos above and below). 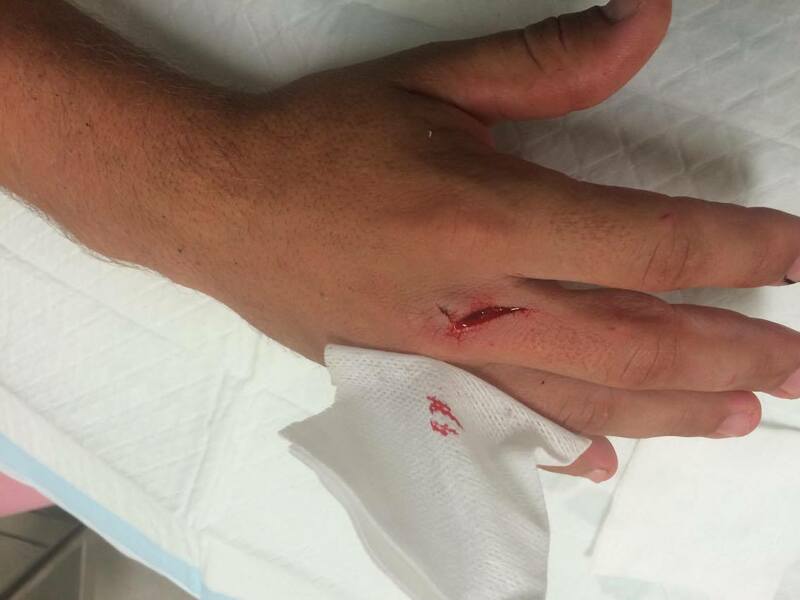 Sadly the barrel is more like a bow now and he needed 5 stitches to his hand in a ‘real prick of a spot to heal’. If you have your own hard earned story like this Speargun, Prop and Ladder Lesson please share it with us in the comments.